What is SPIN Selling Technique - Something New Everyday! 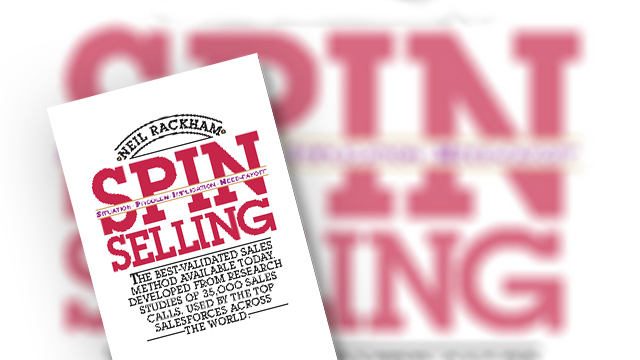 SPIN Selling by Neil Rackman is a hugely influential book that argues the importance of asking the right questions in the sales conversation. Customers will only be motivated to buy something if they identify there's a need. And because there are times when prospects are not even aware there's a problem, the questions you ask are key. This book describes a powerful sales process that reveals four types of questions that when asked in sequence, will significantly increase the likelihood of a lead translating into a sale. Lots of businesses struggle to close enough deals because their selling strategy and sales techniques are not customer-centric. Instead of understanding the buyer, and presenting a solution from a buyer's perspective, too much emphasis is placed on the features and detail of the product/service that's being sold and the credentials of the business itself. 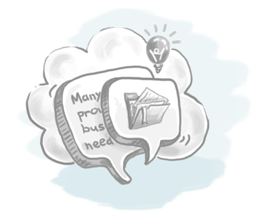 How do you currently manage your customer's contact details? How do you keep track of what's happening in your sales pipeline? If you can get a customer to acknowledge there's a problem that needs to be fixed, they're far more likely to give you the attention you need to close a deal. Problem questions achieve just that, by probing to discover what's causing your prospect pain. In addition, problem questions are highly effective at encouraging a prospect to identify an issue that's been overlooked. Do you find it's expensive adding new users to your CRM? What's the biggest problem you're facing so far when managing your sales pipeline? The purpose of this third set of questions is to make the customer eager for a solution to the problem(s) they've just identified. If leads don't get inputted onto your CRM system, what's the impact on your sales outlook? If you can't accurately see your performance to date, how much response time do you have to implement a fix if you anticipate your sales are falling short of target? The final stage of SPIN Selling, is to encourage a prospect to consider how valuable a solution to the problem they've identified, would be. The secret to getting results with need-payoff questions is to ensure the buyer specifies the benefits themselves. So encourage them to visualise and imagine what would be different with that problem gone. That way, your customer will be able to place a value on what you have to offer. The beauty of SPIN Selling is that it's a highly practical (and proven) sales Enablement tool that's easy to implement.